Fourth of July is a week long this year! There are many spots that you can hit up during your stay at our motel. We are conveniently located a block away from the beach. Tan all day, cool down in our pool. We also have the LBI Shuttle that can take you anywhere on the island. Check out the map below to see when the next shuttle arrives. Enjoy your week and make sure to keep up with us on Instagram. Hello July! We have a nice long 4th of July week ahead of us! Remember you get 4 free beach badges when you stay with us. 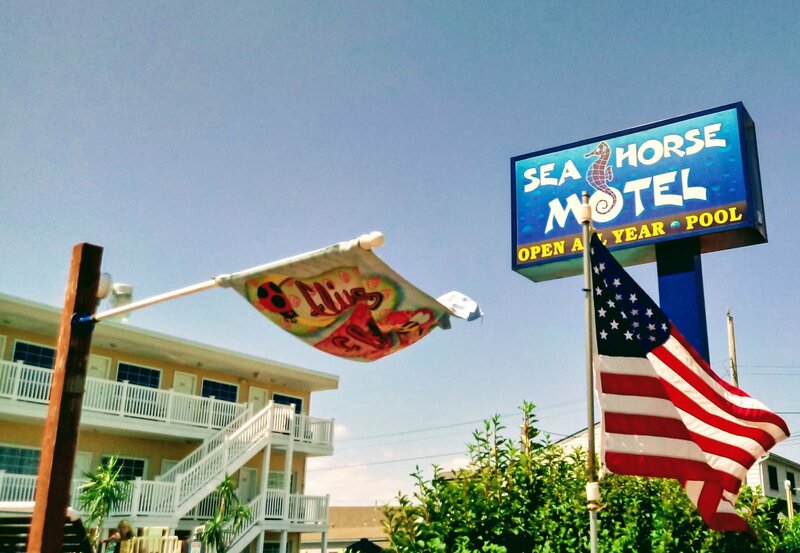 We are located in the heart of #LBI #brantbeach .